Kim has been a doula for over 15 years, and has attended over 600 births as a labor support doula. Her path to birth work began, as it does for many doulas, with the birth of her own children. 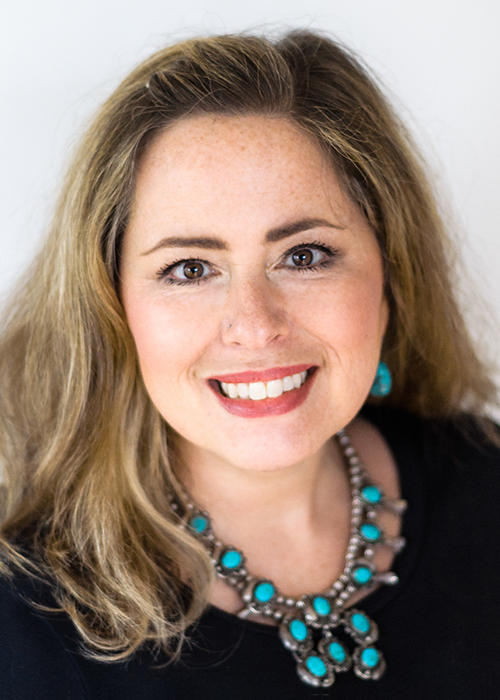 Trained by several doula organizations, Kim awaits re-certification from DONA in early 2018, and combined with her Holistic Doula certification, she brings to her work a depth and wealth of nurturing support that will help families in any birth setting. Kim regularly adds to her skills and training through continued education. She has trained and/or certified with: Lamaze, The Bradley Method, The Matrona – Certified Holistic Doula, Midwifery Assistant training with Ina May Gaskin at The Farm in Tennessee, Birthing From Within, and is also a Certified Lactation Consultant (CLC). Kim recognizes the need for families to feel empowered in their decisions and abilities, and so brings to all her clients a supportive, non-judgmental nurturing to help expectant and new families find their own unique way. It was a complicated relationship between MacGyver, writer Anne Lamott , The Barefoot Contessa/Ina Garten, and Jimmy Stewart’s character in Mr. Smith Goes to Washington. I’m super resourceful, prepared and good in an emergency like MacGyver, I have deep but funny thoughts and weaknesses and share them all for better or worse like Anne Lamott, I take joy in nourishing people and having fun while doing so like Ina Garten and I can be trusted to keep secrets and fight for what’s right like Mr. Smith. How long have you been doing what you do and how did you come to be doing it? Since 2001. Wow. My poor husband thought he was marrying a fellow lawyer when we met in law school, yet a few years into practicing I decided that I needed to be passionate about my work. Like many people in 2001, I sort of woke up and decided that I needed to make my one and only life count and for me, that meant working with pregnant and birthing women and families…so I gave notice to my corporate legal job and never looked back. It just fell into place easily and for the first time in my life, my (doula) work felt completely natural and authentic. I’m blessed to have found something that I’m really good at, that I care about and that I believe makes the world a better place. And the best part is that I’m modeling for my kids that work and passion can be linked. I’ve never regretted trading long hours as an attorney for way longer hours as a doula. Fourteen years and over six hundred births/more than thousand families later and I’m still excited to get that middle of the night call or help a new mom find her mojo. I honestly believe that if we are able to feel heard and take an active role in anything in life, including birth, we will feel better for it. By helping parents know their options, find the right fit with care providers and find their voice at their births, I know I’m helping families get off to a great start. I come agenda-free. My goal is always to help partners shine and mothers feel upheld. I also strive to help whomever shows up at a birth (midwives, nurses, doctors, other support people) feel heard so that everyone can more easily find their way to being on the same page. I am a connector person…I love nothing more than helping the people in my life, including my clients, get connected to whomever can help. I’m thrilled by finding ways to build community, support new mommas in finding their tribe, and help people know that it’s not just them – that they are not alone in their imperfections and real life lives. I’m thrilled to be partnering with Deirdre and all the amazing professionals with whom we are collaborating here at MommaArts. Having the ability to work with people as long as they wish, with continuity of care and the amazing reach of all that we have to offer with our combined experience and skills really excites me. We believe this will also benefit everyone who makes up MommaArts, as there is strength in collaboration and we know that this helps foster sustainability in a profession where burnout can easily happen. Quick. Word association. What seven words describe you? intuitive. resourceful. smart. funny. loyal. passionate. discreet – I’m a vault when I need to be! What draws you to working with expectant women and new families? Giving birth and becoming a mother made me feel my most powerful and also my most vulnerable. It’s an interesting and transformative time and they say that even women who have lost much of their memory due to aging or disease still recall their births. I love being able to help women and families find their way, find their voice, find their power, all while knowing that in spite of how it might look, no one has it all together and we all are brought to our knees some days. Vulnerability and power are two sides of the same coin and both are beautiful. I often take photos during labors and births, so my favorite moments are captured memories: couples’ hands clutched together…laughter during an otherwise tough moment…tears of joy and just the awestruck looks of partners amazed by the power they witnessed…the look of blissful, exhausted satisfaction with having brought new life into the world on a momma’s face…the wise, wide stare of a new baby taking it all in or latching on to nurse for the first time…the look of a new parent, skin to skin with their baby, feeling like they know they are doing exactly the right thing for that moment. I also love that moment when a baby is between two worlds, maybe her head is born but she’s still not quite earth-side yet. Amazing. I know how lucky I am to witness magic and everyday miracles like this. Here’s a little thing about me: being asked to list my favorite anything makes me feel kind of stressed because I want to be accurate. Crazy, right? I watch too much media. My loyalty means I hold on to shows too long sometimes. I have many shows I love, depending on my mood. Sometimes I want to cry, so of course Call The Midwife or Transparent or Nurse Jackie is up there. Sometimes I’d rather laugh or have very little asked of me and I want House Hunters International…it just depends so don’t make me choose, okay? Oh, and I’m a binge watcher. I don’t love a cliffhanger, so I like to be able to feel secure that I next episode is waiting if I want to keep going. a wardrobe filled with black, iced coffee regardless of season, margaritas (but not just any – I have high margarita standards – same goes for guacamole & I’m happy to share both recipes! ), mascara (don’t judge), having pets, cowboy boots, public radio, working with women and families. My husband and 3 sons, a bulldog named Tallulah (Lula for short), a mini dachshund named Mabel and a formerly feral cat named Toby Ziegler (I was a West Wing fan). There are usually at least two or three kid friends raiding my pantry at any given moment. The ability to wing it. I’ve occasionally had to race to a birth that’s unfolding quickly. Sometimes wearing cowboy boots and having no birth bag with me. And it doesn’t matter. I improvise…I’m not a jazz musician (or any type of musician, for that matter) but I think I know how jazz is created…we all show up and bring our best and make it flow together. What are your favorite resources for growing families? Midwives and doulas, of course, compassionate lactation support including an IBCLE when needed, Spinning Babies, Rebozos, slings/carriers, the book, Operating Instructions: A Journal of My Son’s First Year by Anne Lamott, mom groups (real or virtual) and other ways of finding support with other people who are in it at the same time. I’m a homebody who loves to travel, if that makes sense. I love planning trips I may never take and home improvements I may never do… I love to create things through photography, knitting, sewing, belly casting, cooking…and making my home reflect who I am. I love reading – extra points if I’m in a hammock or on a beach somewhere beautiful and can hear my kids and husband laughing nearby, iced coffee at hand.